Age limit and qualification required to become a CBI/CID officer? Required Qualification and Age limit to apply for OTA? Required age limit to apply for the position of IT Officer in Bank? Required Educational Qualification, Age limit and Physical standards to become an Income Tax Officer? What qualification is required to become a Narcotics Officer? What is the qualification required for being SI of school and what is the age limit? Am I eligible fro IBPS after scoring 59% in graduation and 65% in PG? What qualification is required to become SI of school? What is the age limit for this? Qualification and age limit required for sub inspector of school? How can I become an IPS officer? What is the qualification and age limit? Qualification and age limit required for SI of school? Qualification required for District Education officer? Age-limit for the exam? Required qualification and age limit for attending SI of assam police? What is the age limit for Railway Exam? What is the qualification required? Procedure to join CBI having finished EXTC, BE? Re: Age limit and qualification required to become a CBI/CID officer? Yes you cannot become a CBI officer at the age of 31 years. The minimum eligibility for applying to this post is a graduation in any discipline. You should have scored at least 50% of marks in graduation level. You should be between 21-27 years. There is age relaxation for the reserved categories. The SC/ST will be allowed relaxation of 5 years and the OBC will be allowed relaxation of 3 years. To join CBI you need to appear for CGPE exam i.e. Combined Graduate preliminary Exam which is conducted by SSC board every year. * Candidates should have a graduation from a recognized university. * The age limit must be within 20 to 27 for general category. * The age limit must be up to 35 years for SC/ST candidates. * The age limit must be up to 33 years for OBC candidates. For General category - 4 attempts. What is the age limit for IB ? sir, i know the declaration of form and procedure to select for cbi. #Candidates who wish to join must appear in the Indian Civil Services examination that is held by the Union Public Service Commission(UPSC). #Direct recruitment is done through examinations conducted by the Staff Selection Commission(SSC). >to join as a constable in is 10+2 . >to join as sub inspector and officer post is graduation degree . 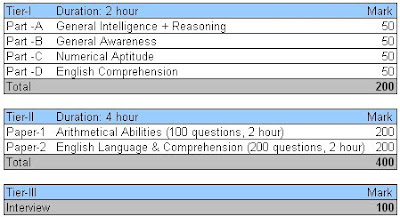 >for the course in criminology one should pass class 10+2 with either arts or science background. >and also have a citizenship of india. candidate age should be between 20 years to 27 years (age relaxation upto 3 years for OBC candidate and upto 5 years for SC/ST candidate). Recruitment of these post is done with written and Oral exams conducted by Staff Selection Commission and even UPSC too.. Candidate opting this field need to be very brave, hardworking, honest as well as tactful as he has to deal with so many high profile people.. This is a job of person with fire in him but that should be controlled by him and should be used as and when required during their raids and investigation judicially. You should have a Bachelor degree of any stream. Distant Vision :6/6 in one and 6/9 in other eye. C.B.I exam is conducted by Staff Selection Commission(S.S.C). For C.B.I you have to pass graduation with any stream from recognized university. The age limit for C.B.I is 21-27 year. For OB.C candidate is 21-30 year. For ST/SC candidate is 21-33 year. If you are under ST/SC category then you are eligible for C.B.I exam. I'm doing psychology honors. Can i be a CID officer? how? please give me all informations. Thank you. SIR, MYSELF DEERGHA SHARMA. I AM PURSUING IN M.SC. (CHEMISTRY) FROM C.C.S. UNI. AND I GOT 73.54% IN B.SC. AND I AM N.C.C. "C" CERTIFICATE HOLDER ALSO WITH "B" GRADING AND WITH "SENIOR UNDER OFFICER" RANK.I HEARTLY WANT TO BE A C.B.I. OFFICER SO NOW WHEN WILL BE NEXT OPPORTUNITY FOR ME TO APPLY THROUGH SSC EXAM FOR OFFICER RANK. I m done b.com and 21 year old i want to be a cid officer plz tell me process. one should pass class 10+2 with either arts or science background.and also have a citizenship of india. Candidates should be passed higher secondary examination in any stream. Lower age limit 20 years. Upper age Limit is 27 years. Yes there is an age limit to join in CBI(Central Bureau of Investigation). The minimum age eligibility :should be between 21-27 years. Minimum educational eligibility : A graduation in any discipline. Minimum marks should be scored :50% of marks in graduation level. The age relaxation for SC/ST : 5 years. The age relaxation for OBC : 3 years. Max attempts for OBC candidate : 7 years. Max attempts for general candidate : 5 years. Indian citizenship should be must and should. First stage : Written test. Written test for maximum of marks : 400. Interview test for maximum of marks: 100. Total maximum marks to be evaluated: 500. All my best wishes will be with you. 6.For 5% relaxation of sc/st catagories. If you want to join the CBI and become a CID Officer then you have to crack the Combined Graduate Level Examination which is conducted every year by the Staff Selection Commission. a) You must have completed your graduation in any stream from any recognized college/university. b) Your age should be in between 20-27 years if you belong to General Category. c) There is also relaxation provided to candidates belonging to SC/ST/OBC Category as per govt. rules. d) You must have Indian Nationality. e) You must be physically and mentally strong. 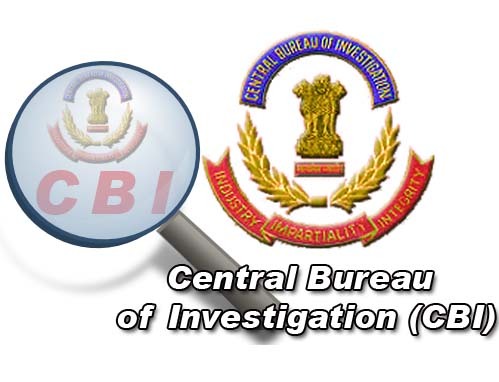 CBI Stands for Central Bureau Of Investigation and CID stands for Crime Investigation Department. Nice to see that you want to become a CBI Officer and enquiring about the Qualifications required to become a CBI Officer. The Staff Selection Commission conducts the Combined Graduate Level Examination every year through which you can fulfill your dream. # Educational Qualifications : Pass in any Graduation Degree From any Recognized College/University. # Age Criteria : 20-27 years. b) For SC/ST Category : 5 years. # Must be physically and mentally fit. Hope the above mentioned will provide you the information you were searching for. i had done 12th in B.A. and passed with 68 percentage. n i want to become C.I.D officer.. its ma dream.. n ma age is 19.. due to financial condition i cnt study frwd.. i do job. but nw i decided to b an C.i.d OFFICER.. wHat should i do nw please help me out. to fullfil ma dream. the age limit must within 20 to 27 for the general category. And the sc and st candidate age must 35 years up.and the obc candidate 33 years up. you cannot become a CBI officer at the age of 31 years. The minimum eligibility for applying to this post is a graduation in any discipline. You should have scored at least 50% of marks in graduation level. You should be between 21-27 years. There is age relaxation for the reserved categories. The SC/ST will be allowed relaxation of 5 years and the OBC will be allowed relaxation of 3 years. An individual must be graduate pass with atleast 50% of marks from recognized university and limitation of age criteria is 20 to 25 years of age. However there is an age relaxation of SC/ST UPTO 5 YEARS OF AGE. Sorry !!!!!!! !you cannot become a CBI officer at the age of 31 years. minimum eligibility for applying to this post is a graduation in any discipline. You should have scored at least 50% of marks in graduation level. You should be between 21-27 years. There is age relaxation for the reserved categories. The SC/ST will be allowed relaxation of 5 years and the OBC will be allowed relaxation of 3 years. A candidate Should have completed their Graduation in Any Stream with at least 55% from Recognize Universities. Age Limit should Not exist 25 years for General Category. there is a relaxation is available for SC/ST category up to upper Age + 5 years. **Age relaxation is provide for SC/ST/OBC category as per govt rule. **The maximum attempts for SC/ST candidate is Unlimited. **For OBC candidate it is 7 years and for general candidate it will be 5 years. There are two Exams in which you can appear in order to become CID/CBI. >>You must be Graduation Pass out in any stream from recognized university. >>Your degree should be approved from the UGC. >>If you have completed your Graduation from distance mode then your degree should be approved from the DEC(Distance Education Council). >>Your minimum age should be 18 years. >>Your age should not be above 28 years. >>If you belong from the General/OBC category then your minimum marks should be 60%. >>If you belong from the SC/ST category then your minimum marks should be 50%. WHAT IS THE AGE LIMIT & QUALIFICATION FOR GIRLS IN C.I.D & C.B.I. ?